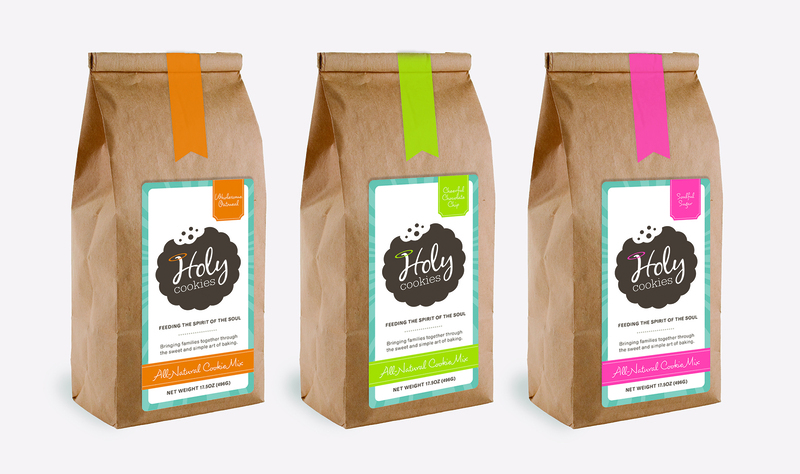 Created by a Christian husband and wife duo, Holy Cookies, is a packaged cookie mix company whose product not only tastes great, but also helps schools raise money for their fundraising efforts. With fun flavors like Wholesome Oatmeal, Cheerful Chocolate Chip and Soulful Sugar, these cookies are sure to have moms and kids busy in the kitchen whipping up delicious cookies for the whole family while raising money for their schools. For our design work on the Holy Cookies logo, we were also honored to be published in LogoLounge Master Library, Volume 4: 3,000 Type and Calligraphy Logos.